If you have any questions about the Project MOONFLOWER information page below please contact us. 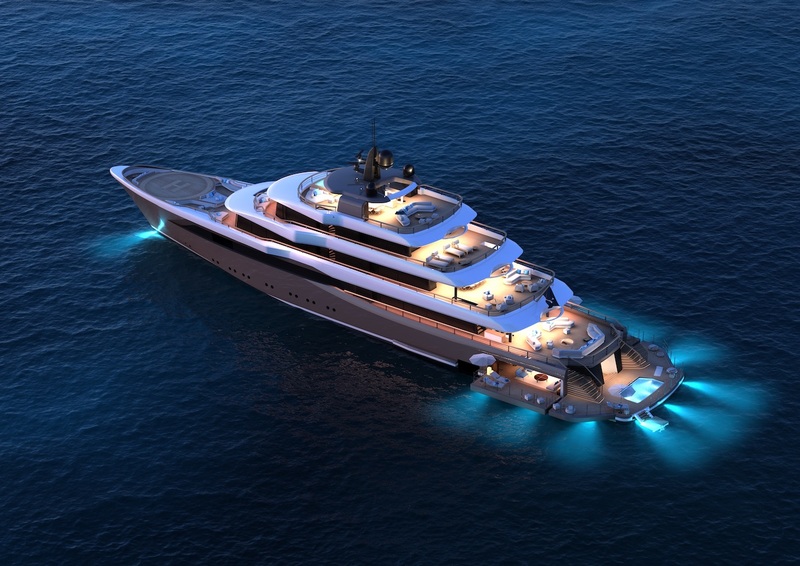 70m/229ft motor yacht PROJECT MOONFLOWER from Nauta Yachts is a spectacular modern vessel providing five decks for guests as well as an underdeck with an interior volume of 1,450 GT. The naval architecture and interior and exterior styling is the work of the Nauta Yachts in-house teams, and the delivery date is in 2021. The lower deck swim platform is fitted with a seawater swimming pool and when it is not in use the pool bottom hydraulically lifts to lie flush with the rest of the deck. 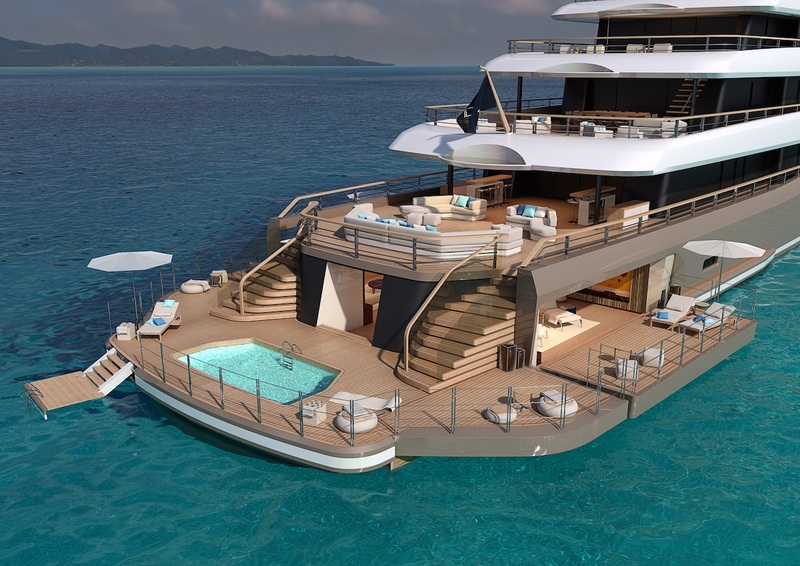 Two sweeping staircases connect up to the main deck aft, where there is a bar on either side beneath the upper deck overhang and the sun-exposed section is laid out with two aft-facing sofas and an elongated curving sofa facing forward. Additional movable seating and coffee tables allow guests to move to the balustrades to take in the views. The upper deck foredeck is dedicated to the Owner's use and has an alfresco lounge close to the Owner's suite while on the bow there is a helipad and an 'infinity nest' in the extreme bow. To the aft, the shaded section close to the interior saloon there is a sizeable alfresco dining table, while the stern section is divided into two seating areas each with three armchairs while the starboard lounge also has an L-shaped sofa. The bridge deck has a secluded forward seating/sunbathing area ideal for tranquil relaxation day or night, while the aft provides a larger area for sun loungers. On the sundeck above, the aft has a sun-drenched lounge with sweeping views and a Jacuzzi fitted to the sundeck forward. Amidships beneath the hardtop, there are additional lounging and dining amenities. On the lower deck the stern area becomes part of a massive beach club, with the bulwarks on both sides opening up to the sea. 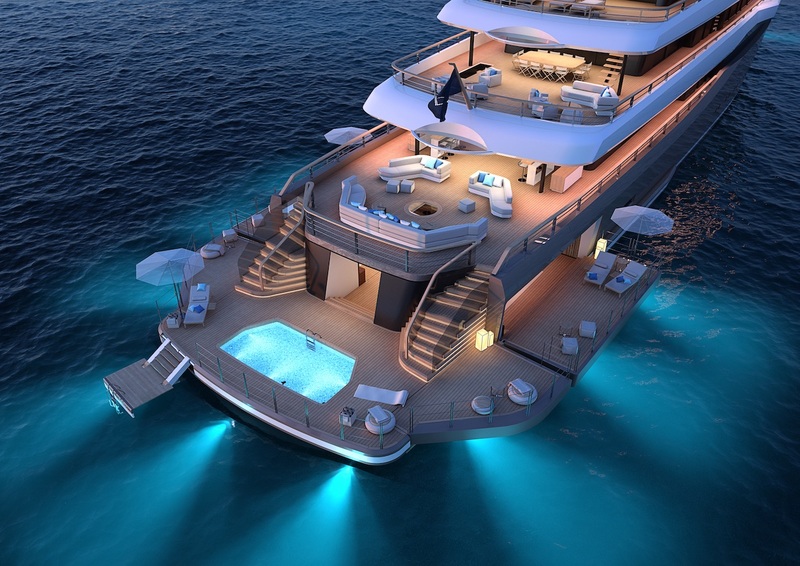 The full-beam interior contains a bar, fire pit and a Nemo window that allows guests to look down and see below the waterline. Immediately adjacent and behind is the spa and wellness centre, where guests have a hammam, sauna, emotional shower and changing room. From the lower deck up to the sundeck there is a sweeping glass staircase winding around a centrally-located lift/elevator that connects all of the floors. The upper deck is dedicated to the Owner's usage and contains a spacious forward suite featuring full-height windows and a skylight for an abundance of natural lighting and incredible views. An Owner's salon provides plenty of room for private relaxation at 48m²/516ft². A pair of electric motors and five diesel generators produce a maximum speed of 16 knots and an excellent range of 6,000 nautical miles at 14 knots. Maximum guest accommodation and crew complement are currently unknown, however, the Owner's suite provides 87m²/936ft², a VIP stateroom of 45m²/484ft² and at least one guest cabin of 21m²/226ft². We do have available further amenity, owner and price information for the 70m (229'65'') yacht Project MOONFLOWER, so please enquire for more information. 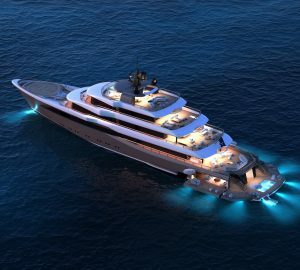 The luxury yacht Project MOONFLOWER displayed on this page is merely informational and she is not necessarily available for yacht charter or for sale, nor is she represented or marketed in anyway by CharterWorld. This web page and the superyacht information contained herein is not contractual. All yacht specifications and informations are displayed in good faith but CharterWorld does not warrant or assume any legal liability or responsibility for the current accuracy, completeness, validity, or usefulness of any superyacht information and/or images displayed. All boat information is subject to change without prior notice and may not be current.